Made by Anatomy is a creative haven for one-of-a-kind brides who want a wedding experience unlike any other. Bring your wedding gown wish list to Owner and Designer Ali Eagen, who will bring your dreams to life. 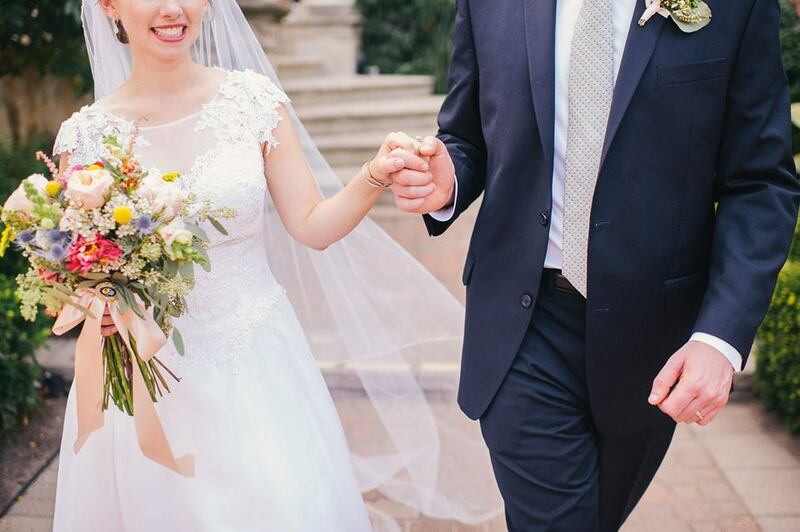 Whether a unique custom design just for you, or a reconstructed heirloom with a modern flare, Ali brings a creative eye and passion for making you feel beautiful to your big day. All your desires are thoughtfully designed into your custom piece. After an initial consultation, you will review custom sketches and fabric samples and select your own distinctive design. We’ll take your measurements, and production of your sample gown begins! We’ll schedule your first technical fitting, where you’ll light up the room wearing your custom wedding dress for the first time! Watch your wedding gown dreams become a reality over the course of several dedicated fittings. Our design and tailoring team perfect the piece to completion. Custom wedding gowns begin at $3,600. 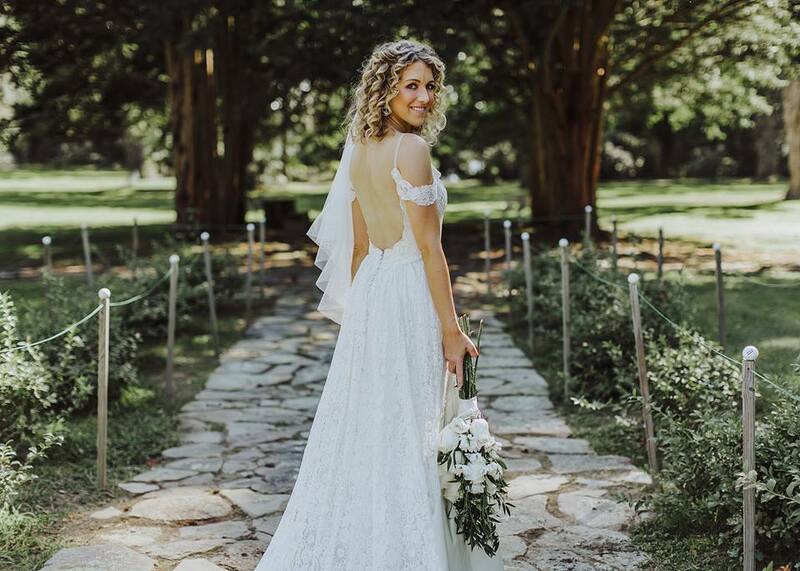 If you’re dreaming of something more sentimental, our team can transform your family’s heirloom wedding gown that perfectly integrates your personal style and shape. 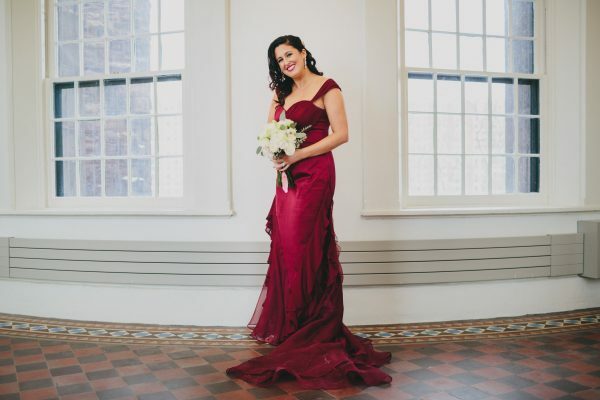 As one of the area’s only destinations for wedding dress reconstructions, Made by Anatomy can turn your vintage dress into a modern gown that fits and flatters your unique desires. If you’ve purchased a wedding gown and don’t feel it’s quite right, we can assist with that as well! We provide alteration services and offer creative solutions to make your off-the-rack gown look and feel like a custom gown! We will meet to discuss your desires, which may require sketches and research, and through several fittings we will take every step necessary to make your vision come to life! Reconstructed wedding gowns begin at $1,200, and cocktail style “Little White Dresses” are $450. Where we meet for the first time to discuss your heart’s desire for the wedding dress of your dreams. This will take approximately 45 minutes, and we suggest you come prepared with ideas, tear sheets, pinterest boards and any other garments you are considering utilizing (if you are restoring a dress). We will talk about what you love as well as what you don’t, colors, fabrics, fit and any other details that go along with your dress. Once Ali has all of the information needed, she will execute sketches for you for the next step. We require a $160 deposit for any custom wedding gown or reconstruction consultations, which includes the consultation, sketching and fabric research and sketch review. The deposit is put towards the total cost of the dress. The sketch review will happen approximately 2 weeks after the consultation. You will meet again to review the designs Ali has created and give feedback, if any. Fabric swatches and trims will be presented to guide you along the way, until you commit to a design. Once you have approved a design, the contract and deposit are handed in and your measurements are taken. The deposit is 50% of the total of the dress, minus fabrics, and is non-refundable. The cost of fabrics is added once determined. The remainder of the balance is split up into three payments to be paid throughout the fitting process. You can expect to have 3-5 fittings for custom garments and reconstructions, though, there may be more. Each fitting will take approximately 30-45 minutes. If you’d like to bring any guests to your fittings, we suggest waiting until after the muslin fitting. Your proper undergarments and shoes are necessary for your fittings. 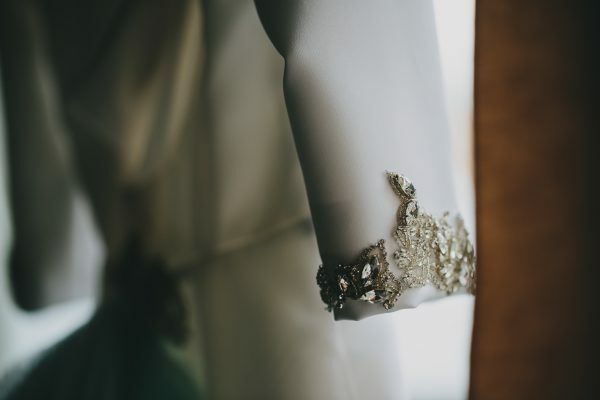 Once the garment is complete, we will gladly hold tight to it until closer to your wedding date, and can even deliver and steam it for you! We offer a range of ready made veils that may be customized to suit your wedding gown. We can custom make a specialty veil as well. We also offer an assortment of handmade accessories including belts, sashes, hair pieces, crowns and more to complete your wedding ensemble. 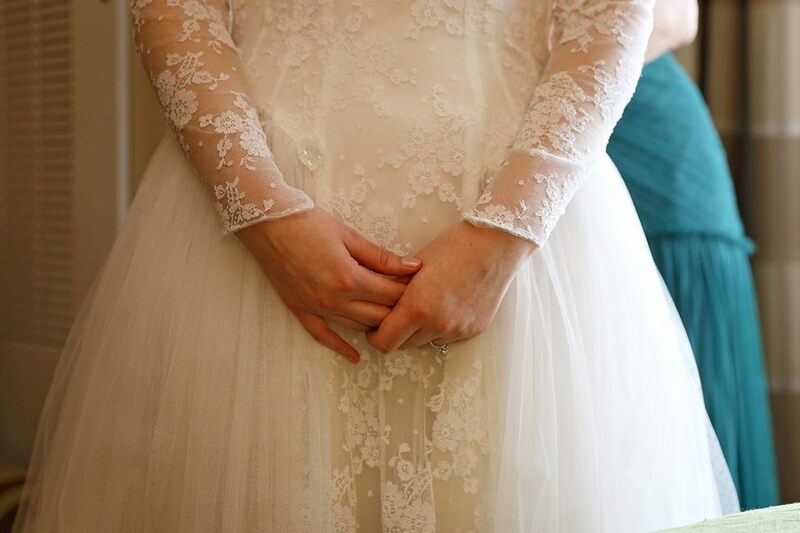 At Made by Anatomy, we also offer Day-Of Bridal Concierge services! Hire us for the afternoon to steam and prepare all of your wedding gowns and bridal party dresses and help you get dressed. We can prepare the boys too! We will come prepared with the necessary tools to handle last minute fixes, spot cleaning and all-around perfecting, and we’ll do it with champagne toasts for your party! We can even help with bustles and photos if you need that professional touch. Inquire for more details!